The original Woodstock 1969 festival was set to take place in Wallkill, NY, but the location later had to be changed. 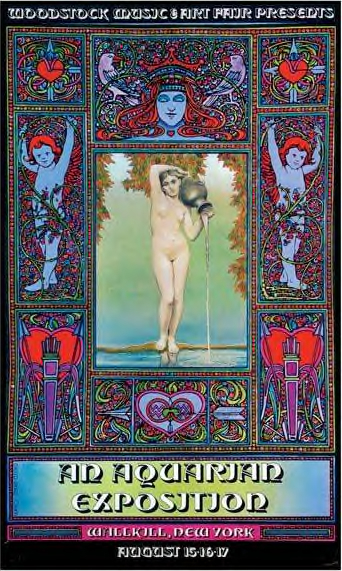 The poster featured Aquarius, the water bearer to signify the Age of Aquarius in astrological terms. Although the Aquarian Exposition did take place, the poster was altered to display the actual location of the festival.